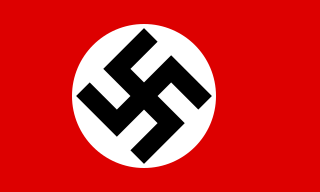 During the Second World War (1939–1945), India was controlled by the United Kingdom, with the British holding territories in India including over five hundred autonomous Princely States; British India officially declared war on Nazi Germany in September 1939. 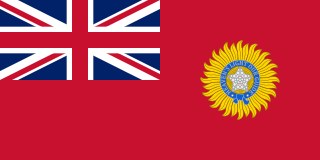 The British Raj, as part of the Allied Nations, sent over two and a half million soldiers to fight under British command against the Axis powers. The British government borrowed billions of pounds to help finance the war. India also provided the base for American operations in support of China in the China Burma India Theater. The East African Campaign was fought in East Africa during World War II by Allied forces, mainly from the British Empire, against Axis forces, primarily from Italy of Italian East Africa, between June 1940 and November 1941. 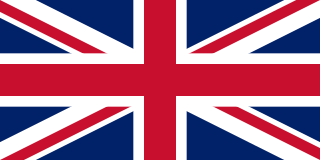 Forces of the British Middle East Command, including units from the United Kingdom and the colonies of British East Africa, British Somaliland, British West Africa, the Indian Empire, Northern Rhodesia, Nyasaland, Mandatory Palestine, South Africa, Southern Rhodesia and Sudan participated in the campaign. Imperial Ethiopian irregulars, the Free French and the Belgian Force Publique also participated. In 1939 the British Indian Army numbered 205,000 men. It took in volunteers and by 1945 was the largest all-volunteer force in history, rising to over 2.5 million men. These forces included tank, artillery and airborne forces. British Indian Army earned 17 Victoria Crosses during World War II. 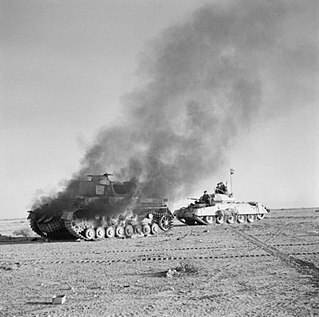 The 4th, 5th and 10th Indian Divisions took part in the North African theatre against Rommel's Afrika Korps. In addition, the 18th Brigade of the 8th Indian Division fought at Alamein. Earlier, the 4th and 5th Indian Divisions took part in the East African campaign against the Italians in Somaliland, Eritrea and Abyssinia capturing the mountain fortress of Keren. Indian forces played a role in liberating Italy from Nazi control. India contributed the 3rd largest Allied contingent in the Italian campaign after US and British forces. The 4th, 8th and 10th Divisions and 43rd Gurkha Infantry Brigade led the advance, notably at the gruelling Battle of Monte Cassino. They fought on the Gothic Line in 1944 and 1945. As the Japanese offensive opened, the INA was sent into battle. Bose hoped to avoid set-piece battles for which it lacked arms, armament as well as man-power. Initially, he sought to obtain arms as well as increase its ranks from British Indian soldiers he hoped would defect to his cause. Once the Japanese forces were able to break the British defences at Imphal, he planned for the INA to cross the hills of North-East India into the Gangetic plain, where it was to work as a guerrilla army and expected to live off the land, garner support, supplies, and ranks from amongst the local populace to ultimately touch off a revolution. Troops of the Indische Legion guarding the Atlantic Wall in France in March 1944. Subhas Chandra Bose initiated the legion's formation, intended to serve as a liberation force from the British occupation of India. As Japan opened its offensive towards India, the INA's first division, consisting of four Guerrilla regiments, participated in Arakan offensive in 1944, with one battalion reaching as far as Mowdok in Chittagong. Other units were directed to Imphal and Kohima, as well as to protect Japanese Flanks to the south of Arakan, a task it successfully carried out. However, the first division suffered the same fate as did Mutaguchi's Army when the siege of Imphal was broken. With little or no supplies and supply lines deluged by the Monsoon, harassed by Allied air dominance, the INA began withdrawing when the 15th Army and Burma Area Army began withdrawing, and suffered the same terrible fate as wounded, starved and diseased men succumbed during the hasty withdrawal into Burma. 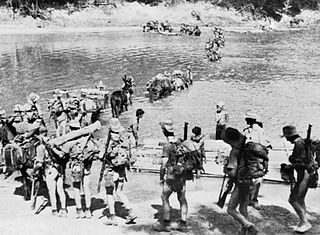 Later in the war however, the INA's second division, tasked with the defence of Irrawaddy and the adjoining areas around Nangyu, was instrumental in opposing Messervy's 7th Indian Infantry Division when it attempted to cross the river at Pagan and Nyangyu during the successful Burma Campaign by the Allies the following year. The 2nd division was instrumental in denying the 17th Indian Infantry Division the area around Mount Popa that would have exposed the Flank of Kimura's forces attempting to retake Meiktila and Nyangyu. Ultimately however, the division was obliterated. Some of the surviving units of the Army surrendered as Rangoon fell, and helped keep order till the allied forces entered the city. The other remnants began a long march over land and on foot towards Singapore, along with Subhas Chandra Bose. As the Japanese situation became precarious, Bose left for Manchuria to attempt to contact the Russians, and was reported to have died in an air crash near Taiwan. Child who starved to death during the Bengal famine of 1943.
an increase in demand partially as a result of refugees from Burma and Bengal. 1 2 Kux, Dennis. 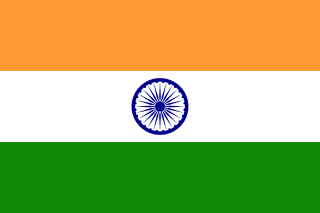 India and the United States: estranged democracies, 1941–1991. DIANE Publishing, 1992. ISBN 9781428981898. ↑ Commonwealth War Graves Commission Annual Report 2013-2014 Archived 4 November 2015 at the Wayback Machine , page 44. Figures include identified burials and those commemorated by name on memorials. ↑ "Page Not Found". www.cwgc.org. ↑ Weigold, Auriol (6 June 2008). "Churchill, Roosevelt and India: Propaganda During World War II". Taylor & Francis – via Google Books. ↑ Nolan, Cathal J. (21 April 2019). "The Greenwood Encyclopedia of International Relations: F-L". Greenwood Publishing Group – via Google Books. ↑ Leonard, Thomas M. (21 April 2019). "Encyclopedia of the Developing World". Psychology Press – via Google Books. 1 2 3 Bose, Subash Chandra (2004). 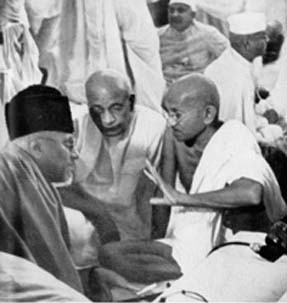 Azad Hind: writings and speeches, 1941–43. Anthem Press. ISBN 978-1-84331-083-9. ↑ Horn, Steve (2005). The second attack on Pearl Harbor: Operation K and other Japanese attempts to bomb America in World War II. Naval Institute Press. ISBN 9781591143888. ↑ Khan, Yasmin (2008). The Great Partition: The Making of India and Pakistan. ↑ Mishra, Pankaj (6 August 2007). "Exit Wounds" – via www.newyorker.com. ↑ "Little Warsaw Of Kathiawar". Outlook . 20 December 2010. Retrieved 7 May 2016. ↑ "Good Maharaja saves Polish children - beautiful story of A Little Poland in India". newdelhi.mfa.gov.pl. 10 November 2013. Retrieved 7 May 2016. ↑ "Origin and History". Welcome to Sainik School Balachadi. 27 April 2016. Retrieved 7 May 2016. Netaji Subhas Chandra Bose: The Forgotten Hero is a 2004 Indian biographical war film, written and directed by Shyam Benegal. The film starred an ensemble cast of Sachin Khedekar, Kulbhushan Kharbanda, Rajit Kapur, Arif Zakaria, and Divya Dutta, among others. The film depicts the life of the Indian independence leader Subhas Chandra Bose in Nazi Germany: 1941–1943, and In Japanese-occupied Asia 1943–1945, and the events leading to the formation of Azad Hind Fauj. Major-General Mohammed Zaman Kiani was an officer of the British Indian Army who later joined the Indian National Army and was appointed its Chief of General Staff. He earned Soward-of-Honour from IMA and joined 14/1 Punjab Regiment . 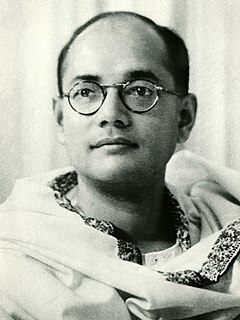 While at Burma front, he alongwith his regiment joined the Azadi Movement, led by Neta Jee Subhash Chandar Bose; and fought against the British Raj. After partition he shifted to Pakistan, he served as political agent of Gilgit Agency and also remained Minister of Information in Zia Government. After his death, his contributions for Azad Hind were acknowledged and he was awarded with Neta Jee Medal,by Indian Government. The Azad Brigade or the 3rd Guerrilla Regiment was a unit of the Indian National Army that formed a part of the First INA and later part of the 1st Division after the INA's revival under Subhas Chandra Bose. The Subhas Brigade, or the 1st Guerrilla Regiment was a unit of the Indian National Army (INA). The unit was formed in 1943 and unofficially referred to as Subhas Brigade after the Indian independence leader Subhas Chandra Bose, who at the time was also the supreme commander of the army. The unit was the first and major commitment of the second INA in the Imphal Offensive, and along with Azad, Gandhi and Nehru Brigade, the Army's contribution to the Imperial Japanese Army's U-go offensive. Malik Munawar Khan Awan was a Major rank officer in the Pakistan Army, whose career had begun in the British Indian Army and included spells in the Imperial Japanese Army and the revolutionary Indian National Army that fought against the Allies in World War II where he commanded 2nd INA Guerrilla Battalion during famous Battle of Imphal. He received a gallantry award for his work during Operation Gibraltar in 1965.